citiesRISE is a global platform committed to transforming the state of mental health policy and practice to meet the mental health needs of populations across the world. citiesRISE is a global platform and movement that seeks to transform the state of mental health policy and practice through improving collective action in cities and catalyzing systematic change. 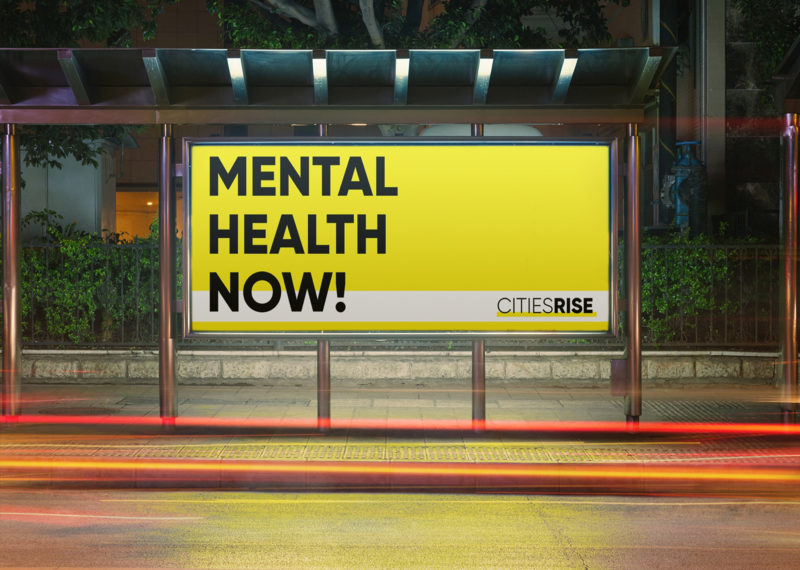 To achieve significant, measurable improvements in mental health – especially among young people – citiesRISE is scaling up proven methodologies and tools and harnessing the skills and energy of experts and communities. Our vision is a world in which cities enable young people to grow up, develop resilience, and lead productive lives through mainstreaming mental health across sectors. Young People and Youth Leadership: By focusing on young people and youth leadership, citiesRISE is creating awareness of mental health from an earlier stage, mobilizing youth to be leaders in the field, addressing wide-scale stigma and preventing mental health challenges before they become chronic or disabling. Innovation and Acceleration: A social entrepreneurs to take their models to scale with path to market strategies, development of business models and integration with systems operating at scale for longer term sustainability. Learning Collaborative: A unification point for citiesRISE activities and drives progress across three strategic key areas: Research and Evidence, Shared Learning and Indicators, Advocacy and Mobilization.